The Continental 43 Tender is the first of the iconic Tender range featuring immense upper deck space while offering all the comforts of a larger yacht. 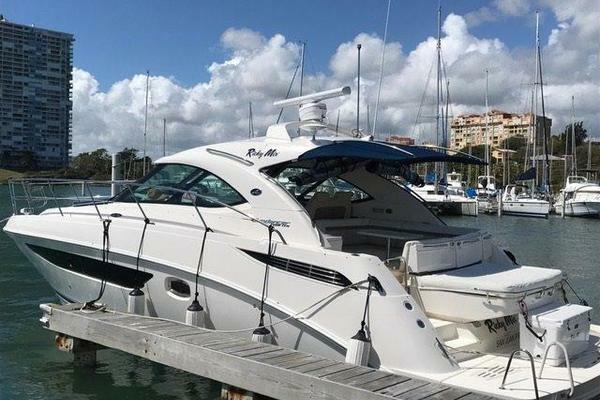 With a large master cabin and a full bathroom, the Continental 43 Tender is perfect for both day cruising and weekend getaways. Range at Cruise: 210 nm. Electric winch with warping drum and chain lifter of 1000w @ 24V c.c. Side-Power Bow Thruster - 90kgf - 24 VD.C.